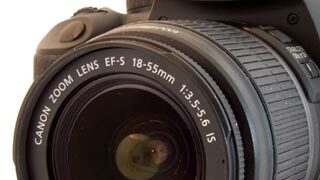 On march, 3rd 2010 I got one of the first Canon 550D / Rebel T2i distributed in Europe. I was impressed by the quality packed in such a small shell, and spent some time evaluating its strengths and weaknesses. I was already familiar with the 5D MarkII and the 7D, and my first impression was that the 550D would have been a 7D killer, for video, if only it had the twin DIGIC processors that allowed 7D to output the almost full resolution HDMI signal during capture. Why is the 7D so different than the other DSLR? All Canon's DSLR allow to output an almost full HD frame from the HDMI port. Only the 7D, however, does this while recording. The other DSLR fall back to a standard definition image, which of course is of no use. Doesn't look like a big deal, right? Simply capture the HDMI stream while it's in HD, and not during recording. Unfortunately, this is not possible. Most overlays can be turned off during preview, but not the focusing rectangle. On the other hand, during preview, only the small red dot in the upper right corner is displayed. The red dot is unobtrusive and can easily be replaced using the H264 compressed material, or garbage matted away. The signal output from the HDMI port is not a full HD, 1920x1080, frame. It's a non standard format, half way between 720p and 1080i. Setting the cameras to 24p mode, the output signal is a 29.97 interlaced 1080i image, with pulldown, and large letterboxes around the frame. While not good as a full HD frame, it's still a 4:2:2 uncompressed signal, and can be upscaled to 1080p or downscaled to 720p with good results. Unfortunately, only the 7D can provide an image clean enough. And that's why Syndicate announced an HDMI capture solution for the 7D only. The Canon 5D Mark II, as well as the rebels, still output a large focusing rectangle. And the best thing that can be done is to move it to the edge of the frame: a less that ideal solution. Set the focusing mode to face detection! In face detection mode, the rectangle does not appear and you can capture an image that's even cleaner than the one output by the 7D. That is, if you don't plan to have actors in your shots. Because the rectangle will reappear as soon as an actor's face is detected. I quickly reviewed my options: behead all actors, or find another solution. A quick consultation with the legal department suggested that it would have been more cost effective to find another solution. A few weeks later, I had one of those D'OH moments, when I realized I was looking at the problem from the wrong side. I grabbed the Rebel T2i and asked my wife to take part in a technical research. I put the camera in face detection, and of course the rectangle appeared around her face. Then I turned the camera upside down and the rectangle was gone. Face detection system usually look for a specific pattern: two eyes above a mouth. Give them a mouth above two eyes and they'll ignore it. After that it was only a matter of adapting a flash bracket so that the camera could be mounted upside down, and get used again to handling a flipped camera, just like in the old days of DOF adapters. After using it for months, I noticed that sometimes the face detection is able to recognize a face even when the camera is upside down. Probably, it has some sort of fallback mechanism to handle tilting and glancing camera angles. If you decide to use it, make sure to review each shot right after the capture. I would not suggest simply looking at the preview while shooting, as sometimes the rectangle flashed on screen only for a brief moment. Is it worth the hassle to capture uncompressed? You tell me: for color correction I wouldn't bother. Depending on your production standards, the H264 output from the Canons is likely to be good enough as is. If it's unacceptable, then the "mid-HD" frame captured from the HDMI output is going to be unacceptable as well. Where the uncompressed capture really shines is in keying and time remapping. It would be helpful for motion tracking as well, but DSLR sensor have too a large rolling shutter to be used for reliable motion tracking. If you try this trick, I'd love to hear from you, just leave a comment in the box below! Use Magic Lantern, it has a option to obliterate any image overlay on the live view . Just set the af mode to anything but face recognition. I just figured out a solution to this problem. Couldn't find this on the internet anywhere, but I figured it out. Stream with the EOS utility. In live view mode "or recording mode" set the focus mode to face detection. Then, on the physical camera, switch the AF to MF. No more face rectangles. You almost had it figured out, Massimiliano, you just had to twitch the camera to MF. I'm so grateful to have found this thread, and especially the solution provided by Benjamin... THANK YOU!!! And thanks to you Massimiliano for starting it! not find the "Face detection"
I've been looking for a solution for so long. Now I finally found one. Unfortunately, I do not find the "Face detection" option on my EOS 550D. Where should that be? So, I'm using the Canon Rebel t6i with my Wirecast station using an HDMI to broadcast the live screen image. I've been having the same problem you are identifying in this blog. Today, that auto-detect square showed up while my students were doing a live broadcast in front of a whole lot of students (very embarrassing, btw). I just think I solved the problem. Turn your "Auto Focus" off on the camera lens itself. Turning that feature off on the lens itself made the face-recognition square disappear on the live screen. remove white box after shooting?